Bersih 2.0 Press Statement, 26 July 2012. Why it’s crucial for you to be moving and involved in championing democracy for Malaysia. 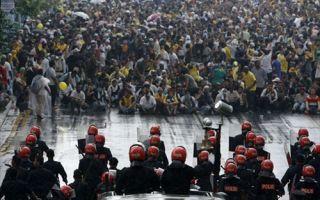 TEMPO: Can Mass Protests Bring Change? REMEMBER the Bersih 2.0 rally? Bersih 2.0: Essay And Short Story Writing Competition RM6,000.00 For Grabs! An observation by the Deputy Minister of Youth & Sports on the Government’s response post-July 9th. Media statement by MCA Vice-President YB Senator Gan Ping Sieu.